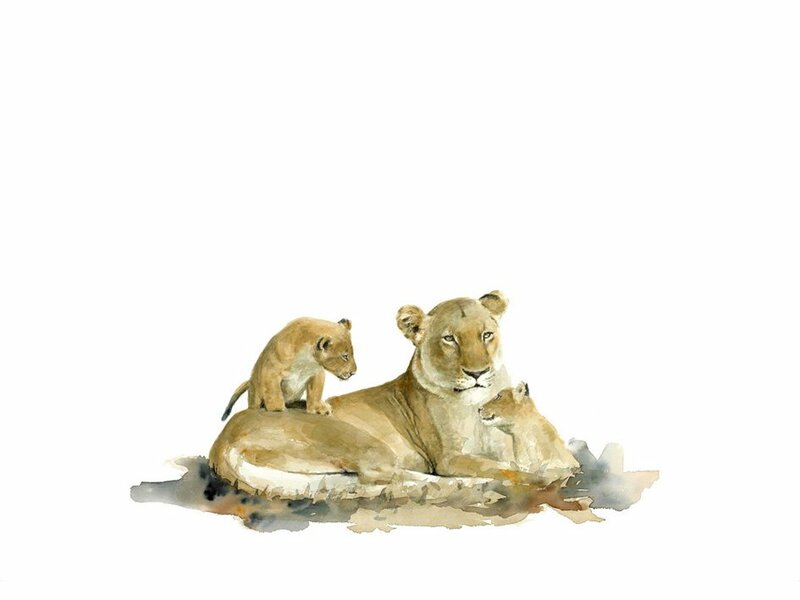 Limited edition giclée fine art wildlife prints in various sizes, available on paper or canvas. 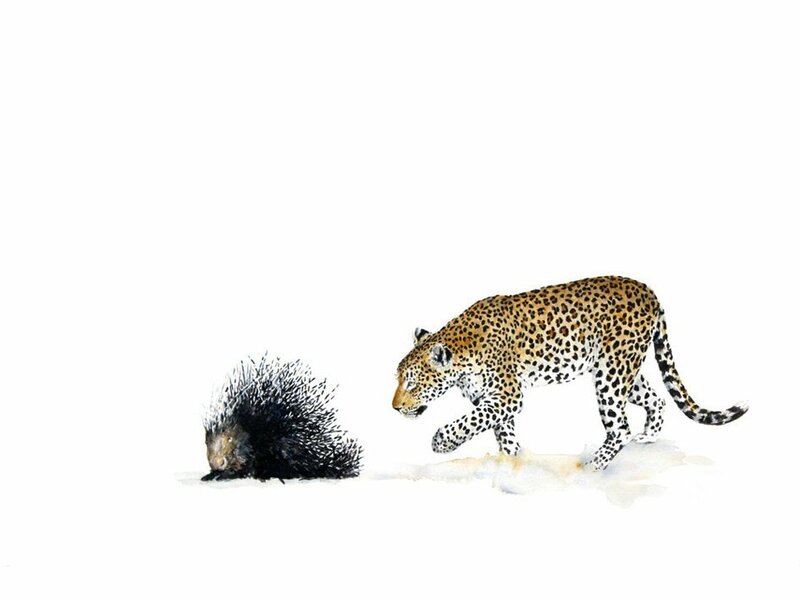 Print of a Leopard and Porcupine. 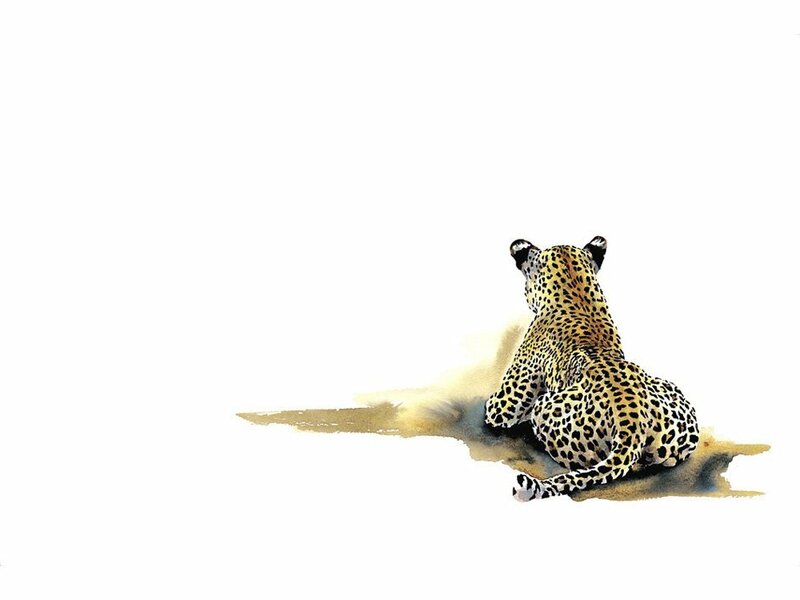 Print of a Leopard and Porcupine. 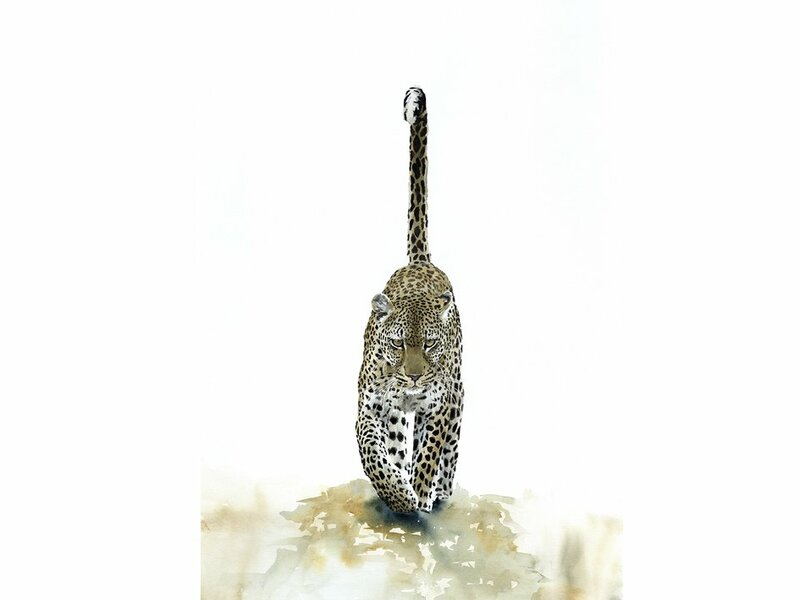 Wildlife art limited edition print in various sizes on paper or canvas by renowned South African artist, Sue Dickinson.print-leopard-porcupine. 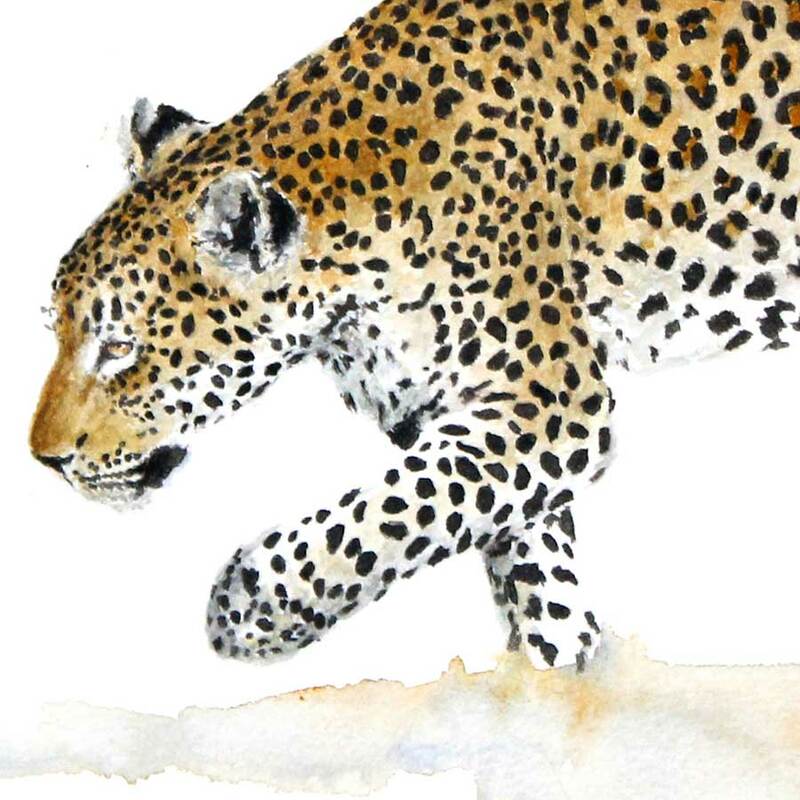 A young leopard tentatively approaches a porcupine, reaching out one paw. 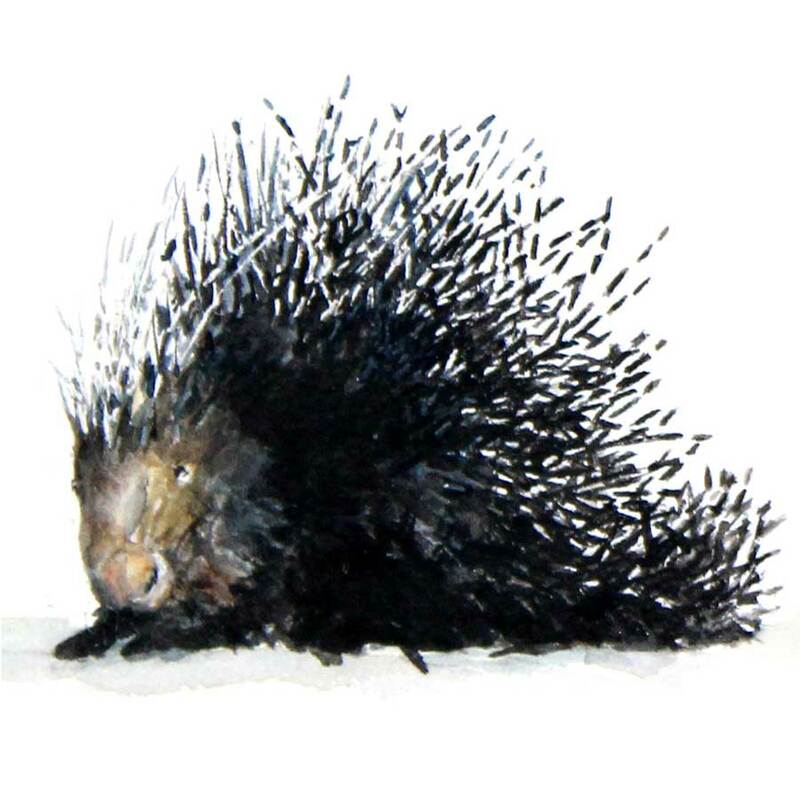 It looks like he’s testing the porcupine. Is it dangerous or not? He could find out the hard way. Porcupines must taste delicious because, despite their potentially fatal quills, leopards and lions often prey on them. Sometimes leopards can get a porcupine quill in their eye or face and this wound can develop into an injury that is so infectious that it can kill. So, this young leopard is right to be cautious. He could find himself in a painful spot of bother.